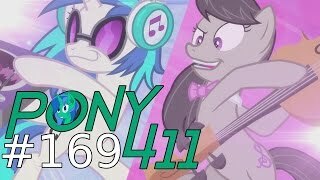 Pony 411 - Ponyville Live! 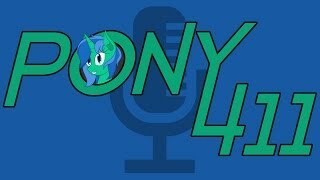 Hosted by Nemesis and Alca7raz, Pony 411 talks about news from the fandom, episodes of the show, fan-created content, MLP comics, and the occasional bit of random nonsense. We didn't do much. But we did watch End of Evangelion! More stuff, like trash and Silver Quill. We went to some panels. It was neat. We saw opening ceremonies! Alca7raz bangs his head! Gonna get Alca7raz. 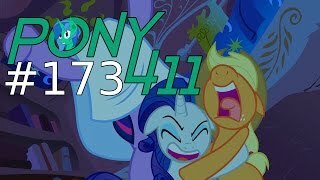 EFNW 2017 is starting soon! Episode 178 is here! This week in the news, there's a lot about upcoming episodes. Like, a lot. And we now have details about the Equestria Girls specials. Oh, and a few other things. You might be interested in those too. Time for episode 177! There's a bit in the news this week. A bit. Like... us?! Oh, and other, probably more important news like toys and Canada's rapid airing schedule. Plus a few other things. 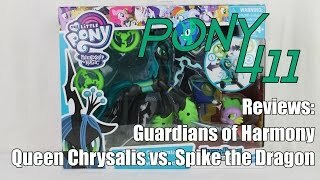 It's Chrysalis and Spike! And they're fighting. This is definitely not a one-sided match-up, nope. Hey, it's the Golden Oaks Library! Before its... renovation. And it comes with Twilight and Zecora. Plus other accessories. Welcome to episode 176! We have a bit of news this week, and most of it is merchandise related. Including car decals and Equestria Girls Minis! Also, other news like an airdate for the first Equestria Girls special... in Poland. Oh. SEASON 7 HAS ARRIVED! 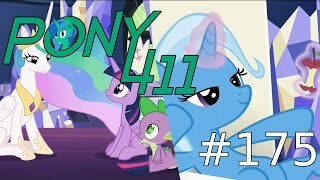 And of course, episode 175 along with it! 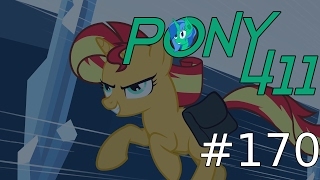 We do have a small bit of news this week, including ponies on Wall Street, the Fresh Princess (what? ), and a promo for next week's episode. And more beyond that! 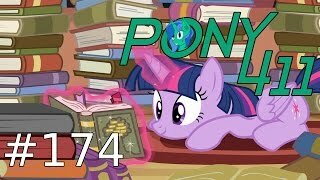 Pony 411 Episode 174- Read A Book! It's episode 174! 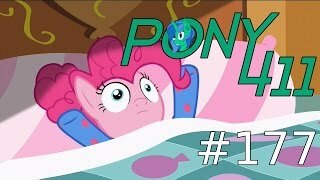 The final episode of the hiatus! Some big news popped up in the last few weeks. 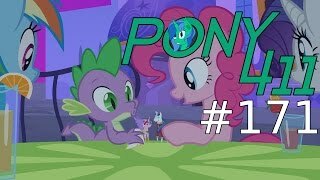 Some of the biggest includes more titles and synopses for season 7 and a teaser trailer for the MLP movie! But there's still other news that you should probably pay attention. Just saying. It's time to make... da magicks! Yes, it's Photo Finish, the... eccentric photographer. And she comes with several accessories! Welcome to episode 173! There's some big news this week. News like upcoming comics, info about the season 7 premiere, and more synopses from upcoming episodes! And a lot more beyond that! Episode 172 is here! And it brings news! News like convention guests, new books, a possible start date for season 7, and more. Oh, and a small helping of salt. You'll understand when you get there. 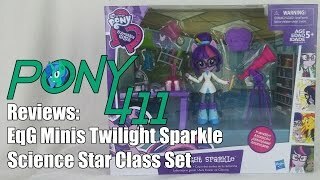 Another EqG Minis review? Sure, why not! 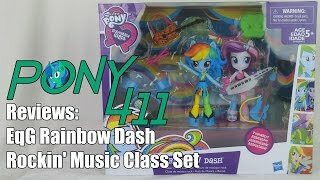 This time it's Rainbow Dash in her glam rock outfit. With a bunch of musical instruments! Band not included. 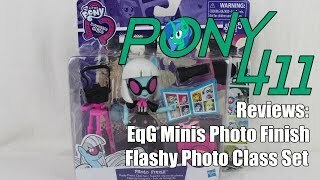 It's time for another EqG Minis review! It's another Twilight. Specifically, Sci-Twi. And she comes with a lot of SCIENCE! Seriously, there's a lot of stuff. 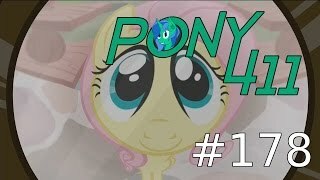 Hey, Alca7raz is doing a review! And it's Rainbow Dash. Of course. 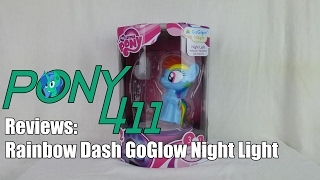 A Dash night light, actually. From the UK! Time for episode 170! We have news. There's actually not a lot of it. HOWEVER... some big things did drop. Like characters from the upcoming movie. And a certain captain lending his voice to the show. 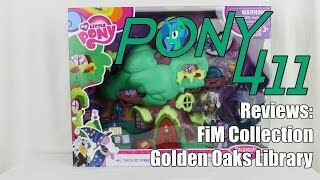 Hey, it's one of the new Hasbro MLP plushies! Is it any good? 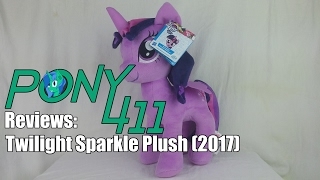 And how does it compare to other official plushies? Let's find out! Welcome to episode 169! There's news! And a lot of it is interesting. 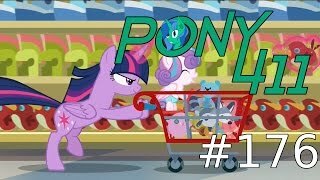 Stuff like an RPG, pony costumes for dogs, the beginning of a new comic series (as well as the end of one), and more!